You may wonder whether Christine’s experience is unique. Data tell us it is not. In the Education Longitudinal Study of 2002 (ELS:2002), for instance, a group of 10th grade students were followed from their high school years for two years after their expected high school graduation date to study how high school students transition to college and/or careers. In 10th grade, students were asked about their college aspirations. EL students reported having the lowest expectations to attend college (10%) and graduate from college (26%) when compared to English Speakers (ES) (34%) and English Proficient (EP) students (31%). However, when students were asked whether they expected to attend a community college or a 4-year university, EL students had the highest expectations of attending or graduating from a community college with 7% expressing a great interest in those institutions compared to 3.3% for ES and 5.1% for EP students. A second data source sheds further light on the experiences of EL students. The High School Longitudinal Study of 2009 (HSLS:09) follows students who were in the 9th grade in 2009. EL students in this study reported being less active in college prep activities by the time they reached 12th grade in 2013. The study found that the percentage of EL students who met with a high school counselor regarding financial aid was slightly higher (53%) than the percentage among non-EL students (49%). But, less than half of EL students completed the Free Application for Federal Student Aid (FAFSA) and over 65% reported not knowing how to complete the FAFSA or did not know their family was eligible to complete the FAFSA. Furthermore, the ESL:2002 showed that only 41% of EL students took a college entrance exam, compared to 64% for ES students and 56% for EP students. The data almost speak for themselves. OCTAE recently published data on older adolescent EL’s experiences with education and employment that sheds light on this understudied population in Older Adolescent and Young Adult English Learners: A Study of Demographics, Policies, and Programs. Key findings included that ELs are more likely to not complete high school or be enrolled in formal education, but for those not enrolled, ELs are more likely to be employed. EL students aspire – just as their non-EL peers – to pursue an education after high school. The difference is that EL students often lack the support to do so. EL students must not only have access to rigorous college preparatory coursework, including high-quality career and technical education programs, but must also have access to college prep resources, such as college counselors and college bridge programs. There are some great examples all across the country of colleges that provide the necessary supports to EL students. One support model is a college bridge program. A fine example of such a college bridge program is Northern Virginia Community College’s (NOVA) Pathway to the Baccalaureate College Success Consortium. The Consortium works with high schools in the area to provide one-on-one assistance to students interested in attending NOVA and then transferring to a 4-year university. The program offers grants and scholarships for participating students and guarantees priority admission at partner universities, such as George Mason University. Another model for disadvantaged students, including EL students, is the University of California’s and California State University’s Educational Opportunity Program (EOP). EOP aims to increase college access and retention of low-income and educationally disadvantage students by offering admission, academic and financial assistance to high school students whose FAFSA reflects a low Expected Family Contribution for college. By participating in college bridge programs like the ones mentioned above, Christine was able to receive the support she needed to continue her education. Through the Center for Community College Partnerships at University of California Los Angeles (UCLA), Christine found the support to continue her education, attended Los Angeles Mission College, and transferred to UCLA after completing all of their transfer bridge programs as Classic SITE, STEP (now SITE +). In the Fall of 2004, she participated in the Transfer Summer Program (TSP) offered by UCLA. 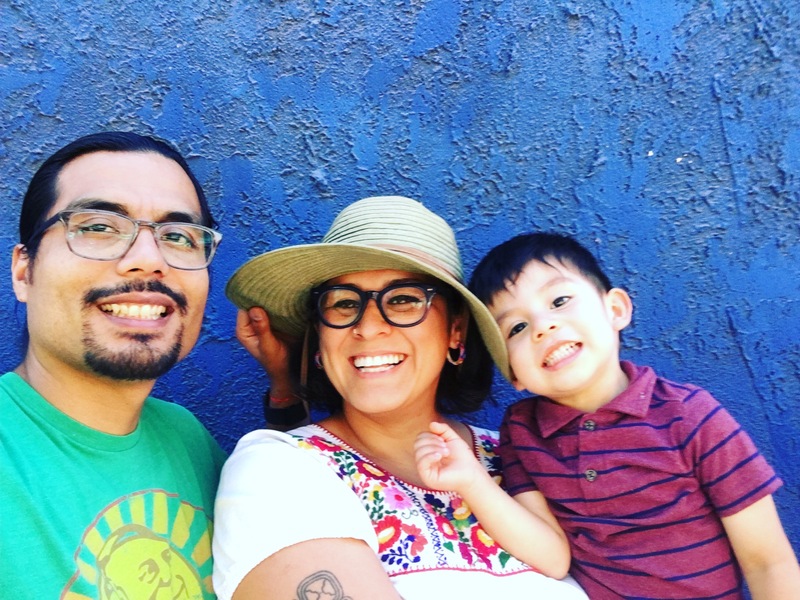 Through TSP, Christine was able to transfer to UCLA, graduated with a B.A.’s in both Women and Chicana/o Studies and gained the skills necessary to reach English proficiency to now be considered a former EL. She continued on to pursue a Master’s in Education from the University of Utah, focusing on education disparities for underserviced communities and students. As of today, Christine is a Ph.D. candidate at UCLA’s Graduate School of Education and Information Studies. Christine’s story shows that when EL students have access to support services, EL students can be successful in, and beyond, high school and college. Through OCTAE, the U.S. Department of Education provides national leadership to strengthen the role of community colleges in expanding access to postsecondary education for youth and adults and advancing workforce development. The Department is committed to improving the outcomes of all students, including first-generation, immigrants and refugee students who aspire to pursue postsecondary education, especially those who are not yet proficient in English. The Department has and will continue to share resources that will help states, districts and individual programs strengthen their support mechanisms for EL students to make more stories like Christine’s a reality for all EL students. Two resources from the Office of English Language Acquisition are the English Learner Took Kit and the Newcomer Tool Kit, both of which offer critical information to help practitioners better serve EL students and their families. Johan E. Uvin is the Deputy Assistant Secretary (delegated the duties of the Assistant Secretary) for career, technical, and adult education at the U.S. Department of Education. Carol Aguirre is the Special Assistant in Office of Career, Technical, and Adult Education. Patience Lehrman is the Special Assistant to the Dean for Strategic Partnerships and Community Affairs at Temple University.